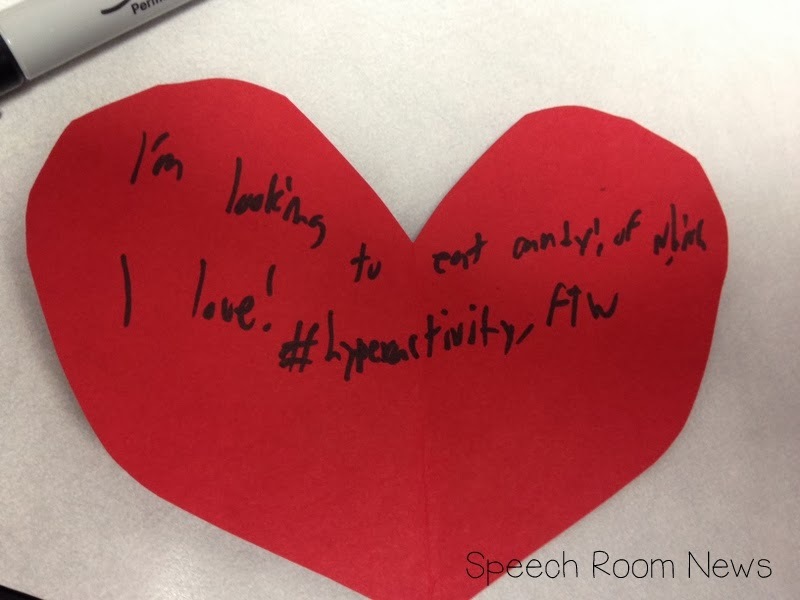 Some of my social groups have finished the winter activities we were working on and so we’ve jumped to Valentine’s Day social activities! 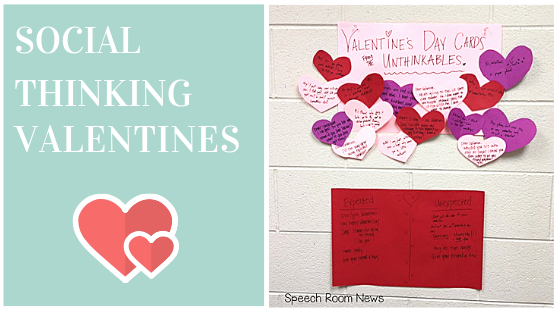 I know it’s a bit early, but we really need some time to talk these through to pre-load our social thinking brains! 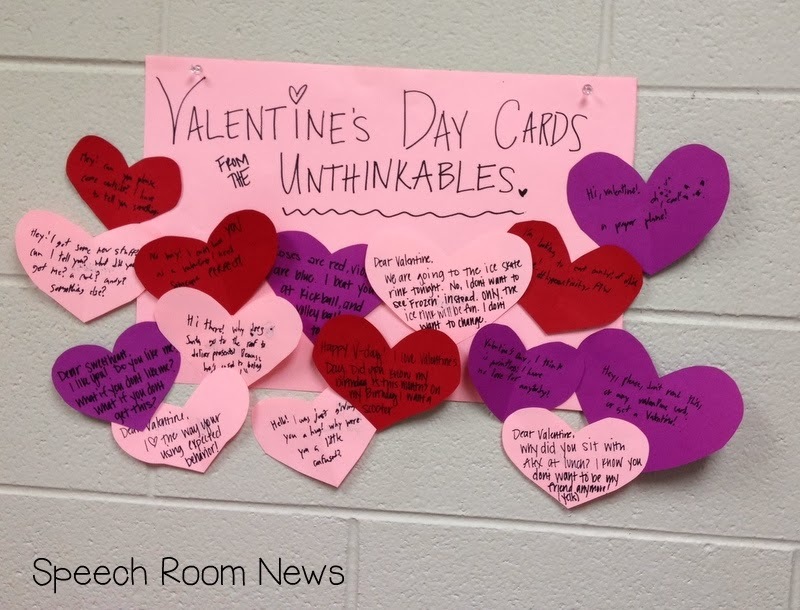 This week we wrote Valentine’s Day cards from the Unthinkables! The Unthinkable are the ‘bad guys’ in the Michelle Garcia Winner Superflex Program. 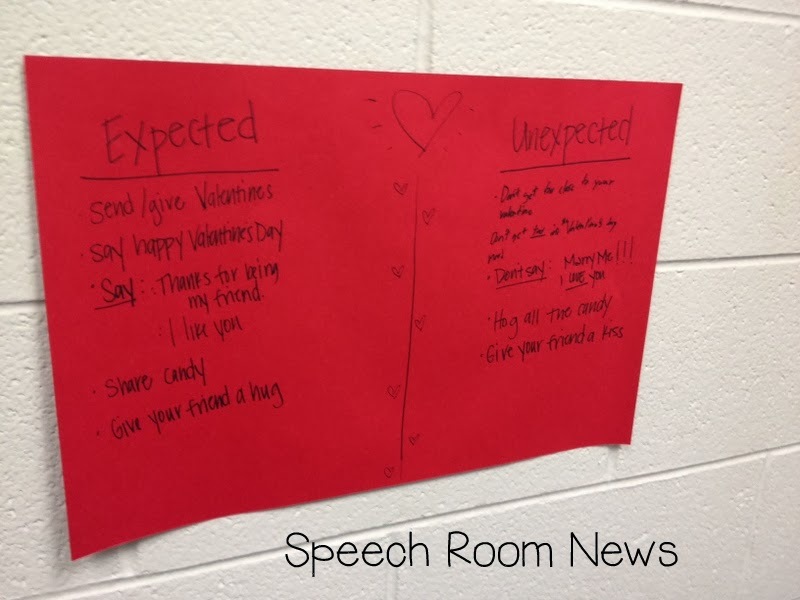 We also brainstormed expected and unexpected behavior for the big day/parties/dances. Our wall is looking so cheerful! 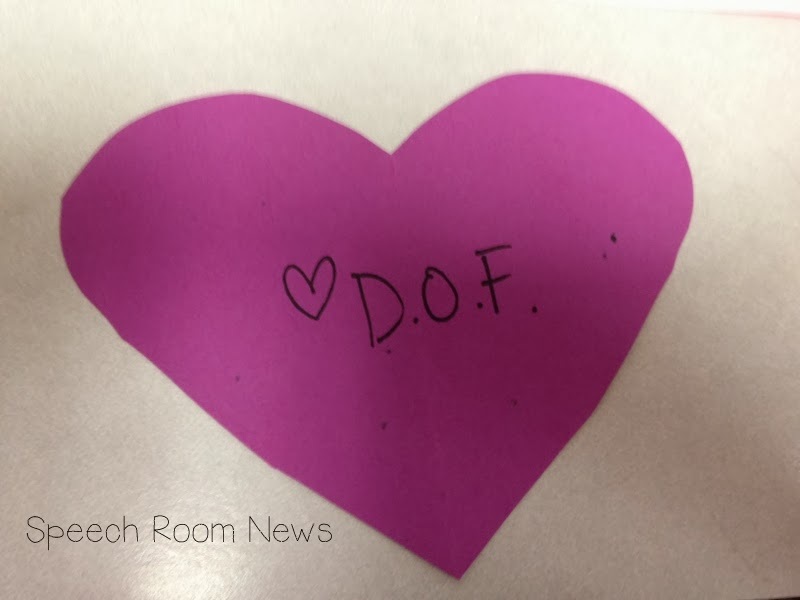 Here are a few the kids brainstormed! Roses are red, violets are blue. 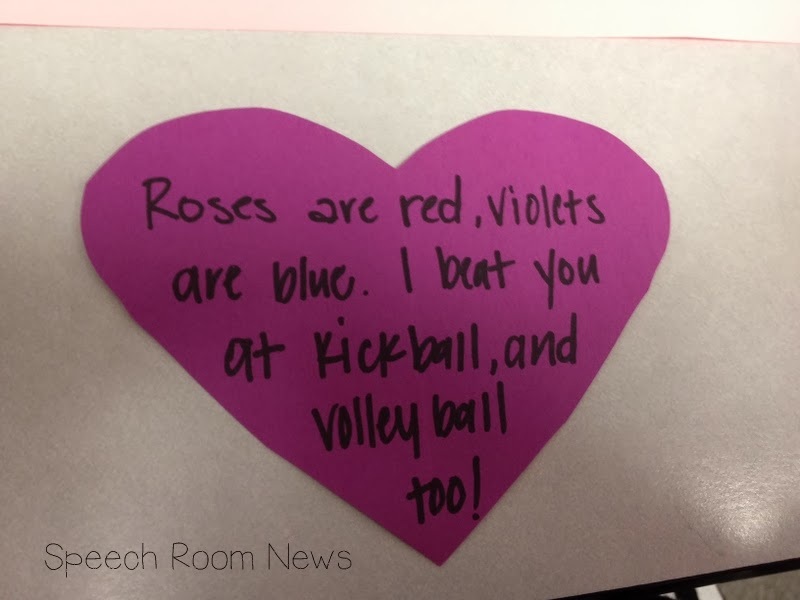 I beat you at kickball, and volleyball too! I’m looking to eat candy! (something I can’t read) #hypersensitivity #FTW (For the win). Love, Energy Hare-y! Seriously, you guys. My kids are the BEST. They use hashtags. I L.O.V.E. it! 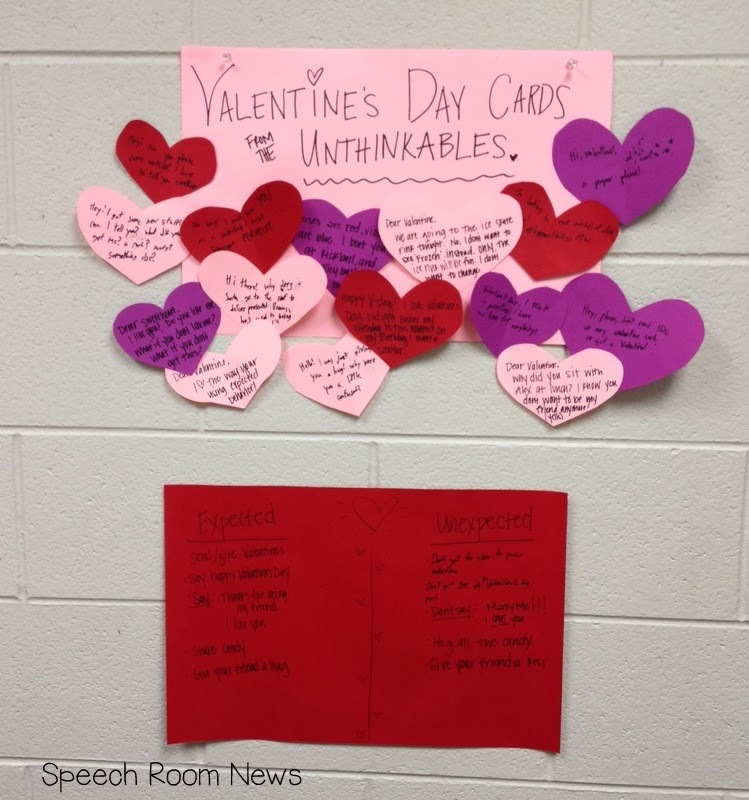 How are you using Social Thinking to prep your students for Valentine’s Day? Love it! Thanks so much for the idea! 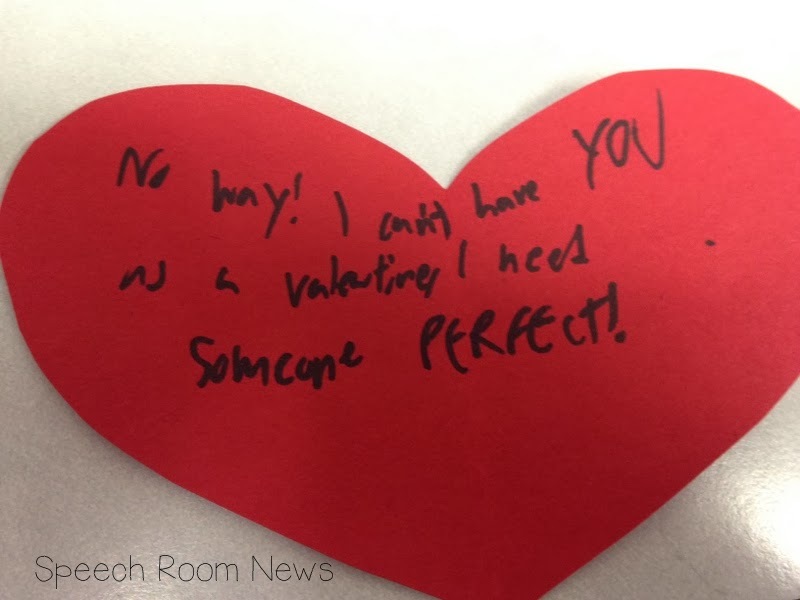 I’ve done vday cards with idioms “peas in a pod”, etc. But this is great! I really need that superflex curric! This looks really good. 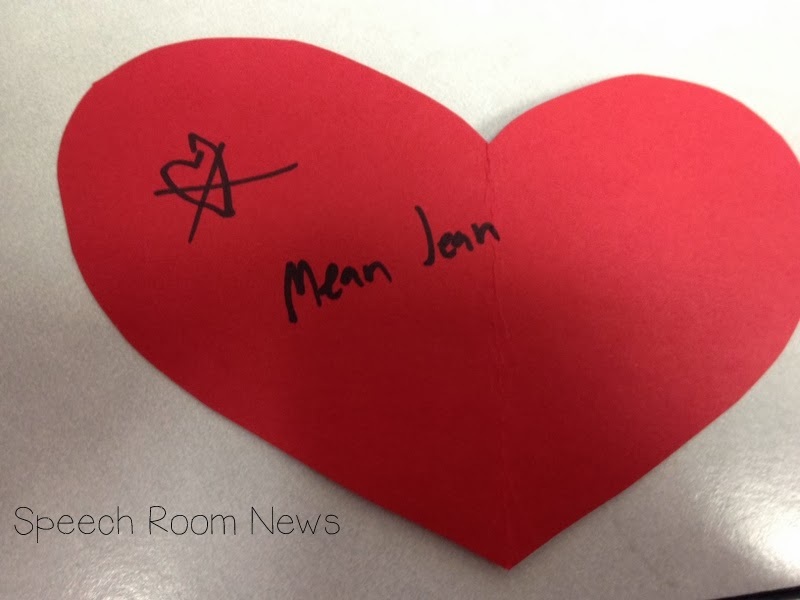 The only change I would make is to have them write 2 hearts–one from the Unthinkables, and draw zigzag line down the middle to make them ‘broken hearts’ and one nice one on a pretty heart.